Solving problems in an interdisciplinary and humanitarian manner: TU Darmstadt and the German Aerospace Centre are developing a sustainable system for supplying water to slum areas that is based on satellite data. The first charts that Professor Peter Pelz, Lea Rausch and John Friesen project onto the wall speak for themselves: satellite data of the Indian city of Mumbai show the rapid growth of the megacity in form of small dots that are further condensing from slide to slide. The population of 5.9 million in 1971 has now grown to 12.5 million, and according to current estimates, 55 percent of the people live in slums. In most developing countries in Asia, South America and Africa, these "informal settlement" are firm fixtures in the city, but almost impossible to document in precise figures. The three scientists from the Institute for Fluid Systems (FST) is working with computer scientists from the TU Darmstadt and geographers from the German Aerospace Centre (DLR) to research slums and how they develop in megacities. They want to optimise water supplies to these "urban poor" and support the targeted development of infrastructures in slums. "In doing so, we want to contribute towards achieving the development goals that the United Nations have set for 2030," explains Professor Pelz, who is the head of the FST. The dynamic with which megacities and their slums are developing is a tremendous stress on their infrastructures. In particular, the lack of clean water supply causes a multitude of problems – diseases, high infant mortality and a lack of time for education and work, because the procurement of water binds a lot of capacities. In order to break this vicious circle the scientists are working on a supply system that is scalable and adapted to the specific local conditions. "We don't need a fine-grained, but a broad-based model," explains Friesen. The focus is therefore on the search for general patterns that apply to every megacity. Satellite data from the DLR provides the basis for this. "With regard to global poverty in cities, there are still major gaps in our knowledge," reports DLR scientist Dr. Hannes Taubenböck. "Much is based on estimates." Using remote sensing data, the team was able to determine the typical morphologies of slums. A highly dense and visibly unplanned development as well as small, low houses make these areas clearly distinguishable from formally planned areas on satellite images. Because they discovered this typical "binary structure," the DLR scientists are able to establish the proportion of poor people in cities far more precisely than is possible from, for instance, a census. 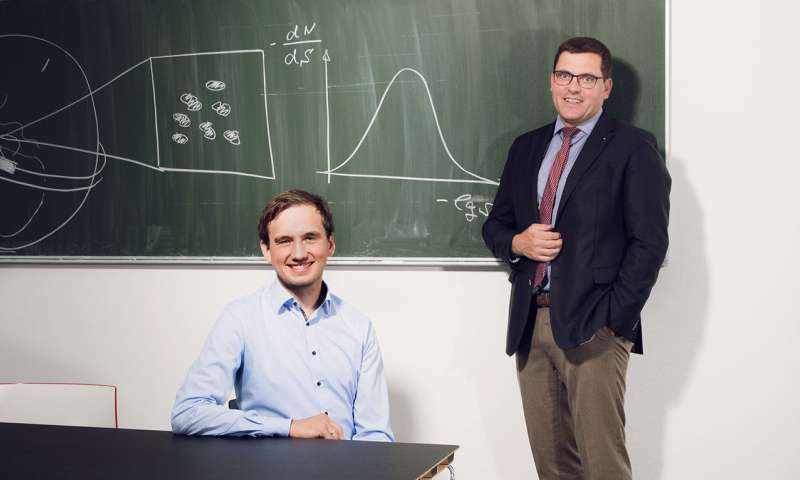 "We came up with significantly higher figures than the official bodies," says Taubenböck. A look at the structures of Dharavi slum in Mumbai quickly reveals the reality. On an area where 7000 people live in Darmstadt, there are 42000 residential units. The estimated population is somewhere between 500,000 and one million people. Based on the DLR data, the research partners have now also investigated the size of slums. The examples of Cape Town, Rio de Janeiro, Mumbai and Manila confirm that although slums can vary greatly, they are all roughly the same size. Regardless of the city, country and continent or geographic, political and economic boundary conditions, most have an area equivalent to at least a half and a maximum of five football fields. "If slums are of a uniform size globally, we can develop a transferable, robust and efficient system that determines the optimum infrastructure for supplying water to every slum," says Peter Pelz. The foundations for this system are provided by the classified satellite data of the DLR and a cost model into which flow factors such as the prognoses on slum growth established from data mining. This cost model is translated into a mathematical optimization model. Algorithms then calculate the supply system; not by searching for a global solution in a smart way. Due to the high complexity, people are no longer able to do that. "Algorithms become the planners of infrastructures," explain Rausch, Pelz and Friesen. "It's an entirely new approach," confirms DLR expert Michael Wurm. People only define the constrains for the calculations. These are cost or later also business models, as well as already existing infrastructures. At the end a graphic is available visualizing the calculated network design with waterworks, various types of water tank, pipes or vehicles for water transportation. The scientists have already applied this method of "discrete optimisation" using a number of slums in Dhaka as examples. At the moment it still takes several hours for the calculations for smaller areas with about 20 slums. Clustering the slum data should reduce the number of variables in future, which would accelerate the process as metropolitan regions like Dhaka have far more than a thousand slums. Meanwhile, the researchers at TU Darmstadt are also exploring the question of how slum actually arise. Using the Turing mechanism – a model by the British mathematician Alan Turing explaining the emergence of spontaneous structures – they found certain migration patterns. It revealed, amongst other things, that slums always develop when the population density becomes so large that the people of a specific group, in this case the poor, start to "diffuse" from an area. This confirms the experts' conviction that even basic mathematical methods can be used to explain social phenomena. Their aim is now to include other disciplines that address the subject of "Water for all." "This could be the nucleus for future collaborative research," says Peter Pelz.